This can be served as a main as a great vegetarian option or as a side to accompany a meat dish. I served these as dinner with Dr Kargs and some green olives and a simple salad on the side. 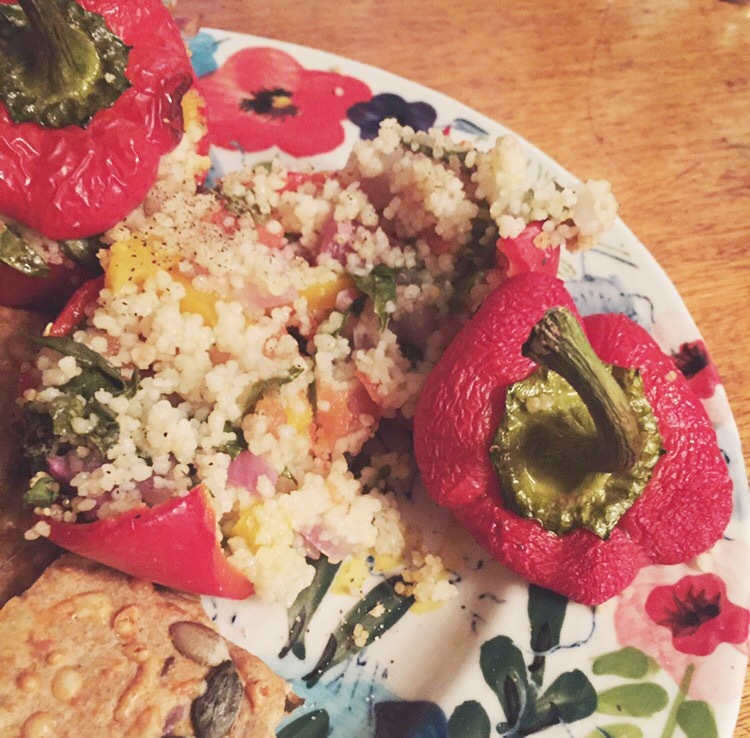 The red pepper goes lovely and soft while it is roasting away in the oven and the lime in the couscous gives it a great added flavour. these look delicious ! does Jamie O know you’re in town !! Yes absolutely, I would suggest frying them in two tablespoons of butter in a frying pan before mixing in with the couscous. Hi Ema! So sorry, I didn’t see your comment until just now! I hope you had a lovely Easter and the recipe worked out for you!